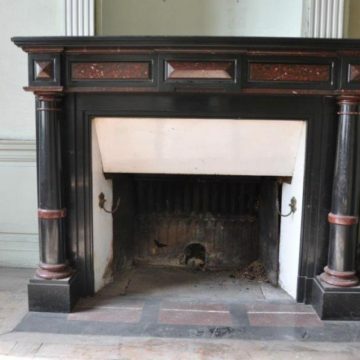 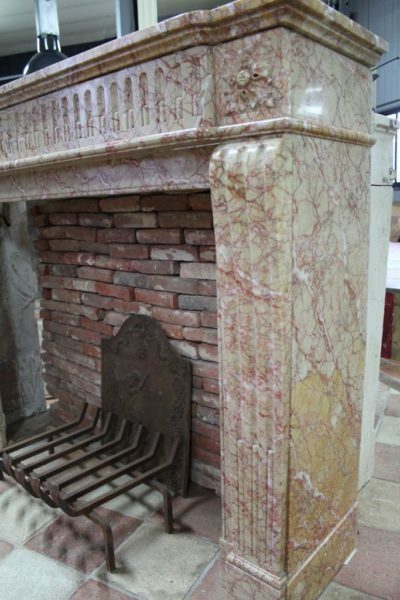 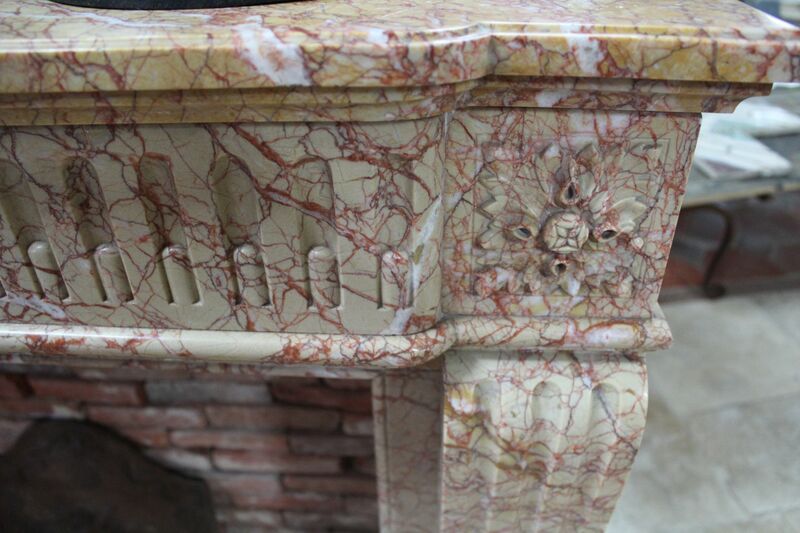 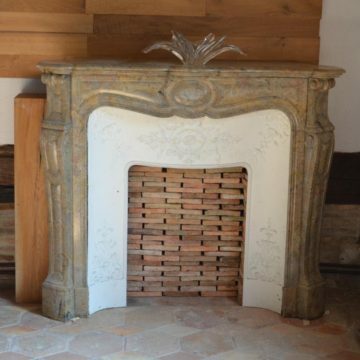 Antique marble Louis XVI fireplace. 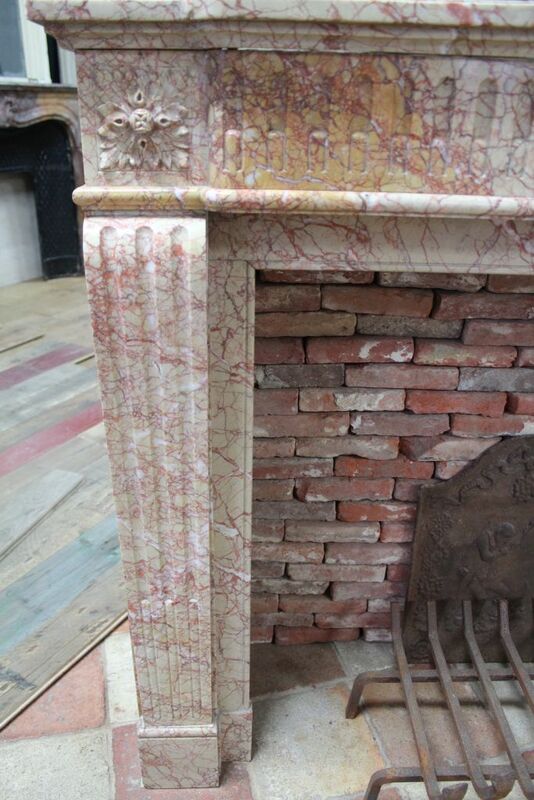 Color peach, pink and white. Overall height : 1070 mm and overall width : 1350 mm. 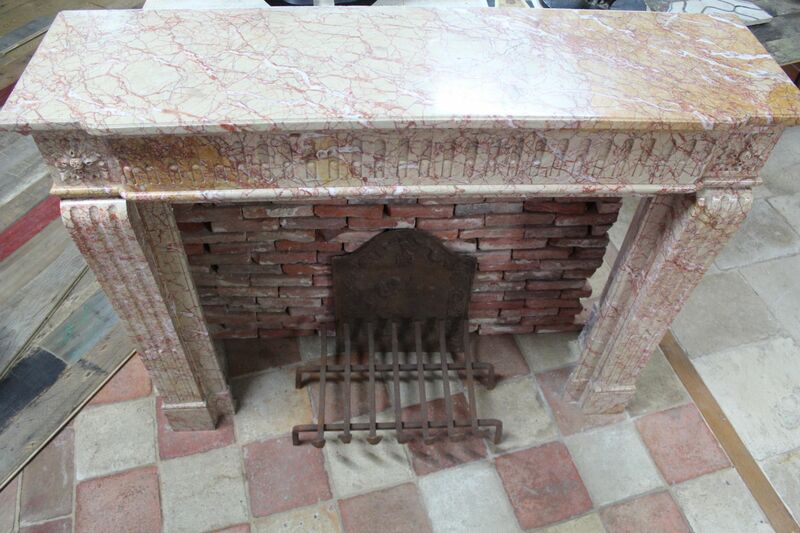 Firebox : height : 820 mm and width : 950 mm. 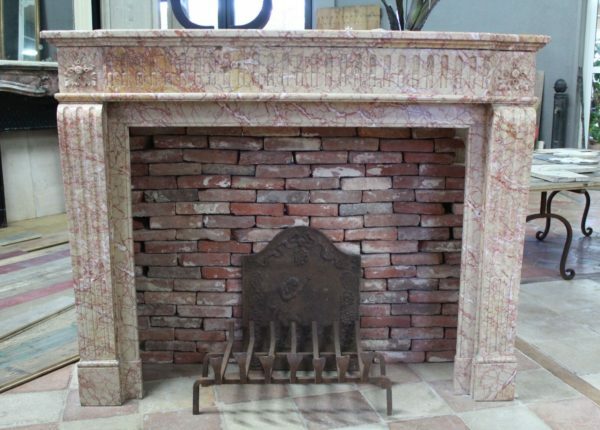 Overall height : 42 inches and overall width : 53 inches. 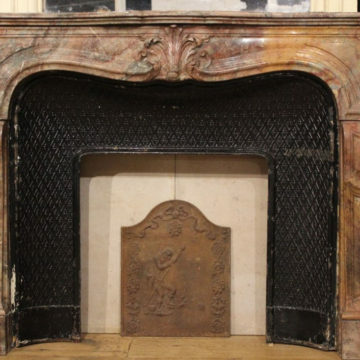 Firebox : height : 32 inches and width : 37,5 inches. On display from BCA’s Maine-et-Loire premises at L’Hôtellerie-de-Flée near to Angers.